0 Comments Posted by islandtreesadmin in Uncategorized on Friday, October 21st, 2016. National Cat Day is October 29. And yes, if you have a cat you’ll know everyday is considered cat day in your house, but did you know some of these amazing facts? 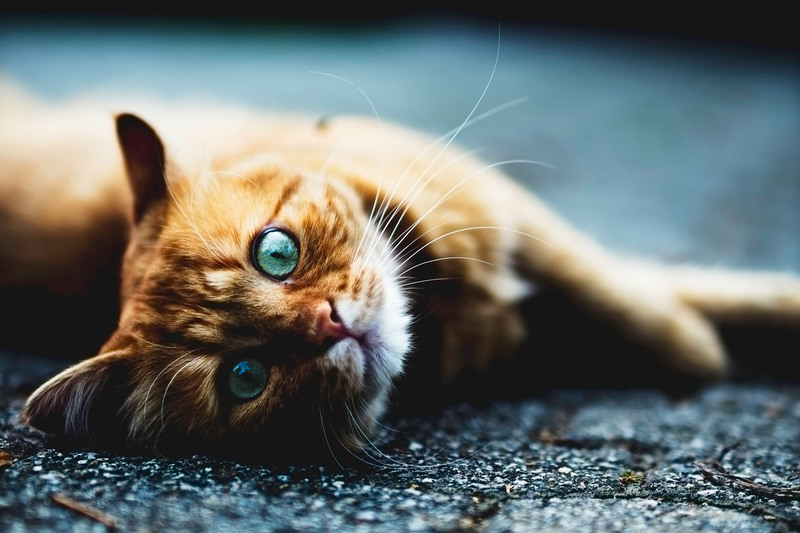 Read on to learn more about your favorite household furball, your cat. • Common household pain relievers (like Tylenol or Advil), caffeine (whether coffee, tea or soda) and and raisins are poisonous to cats. • The ancestor of all domestic cats was once believed to be the African Wild Cat, but a new study suggests that the Near Eastern Wildcat became domesticated some 5,300 years ago by farmers in China. • In ancient Egypt, cat owners would shave off their eyebrows to show their grief after their beloved cat died. • Cats use their whiskers to help them navigate the dark and the space around them. • Cats can rotate their ears up to 180 degrees and move them separately. • Today there are about 100 distinct breeds of the domestic cat. • Isaac Newton is credited with inventing the first cat door. • Like birds, cats have a homing ability that uses its biological clock, the angle of the sun and the earth’s magnetic field. • Hunting is not instinctive for cats. Kittens born to non-hunting mothers may never learn to hunt. • Cats can make over 100 types of vocal sounds while dogs can only make 10. • Cats will snack on grass to help with digestion and rid their system of any fur (those pesky furballs!). • Among other tasks, cats can be taught to use a toilet, come, sit, beg, eat with their paws, heel, jump through a hoop, play a piano, play dead, roll over, open a door, hide food in boxes, shake and fetch. • Domestic cats spend about 70 percent of the day sleeping and another 15 percent of the day grooming. • In Great Britain and Australia, black cats are thought to bring good luck. • Besides smelling with their nose, cats can smell with an additional organ called the Jacobson’s organ, located in the upper surface of the mouth. • Cats can’t taste sweets. • Like person’s fingerprint, the surface of a cat’s nose is as unique identifier. • Studies have shown that owning a cat can reduce the risk of stroke and heart attack by a third. • Forbes might not have a list of the world’s richest cats but there’s one in particular who would definitely make the list — An Italian heiress left her cat, Tommaso, $13 million after she passed away. • A large majority of white cats with blue eyes are deaf. White cats with only one blue eye are deaf only in the ear closest to the blue eye. White cats with orange eyes do not have this disability. • Cats don’t have sweat glands, they sweat through the pads of their feet. • Neutering a cat extends its life span by two or three years. • It might be hard to believe when they’re such great couch potatoes, but house cats can run 30 miles per hour. That’s faster than Olympian Usain Bolt.